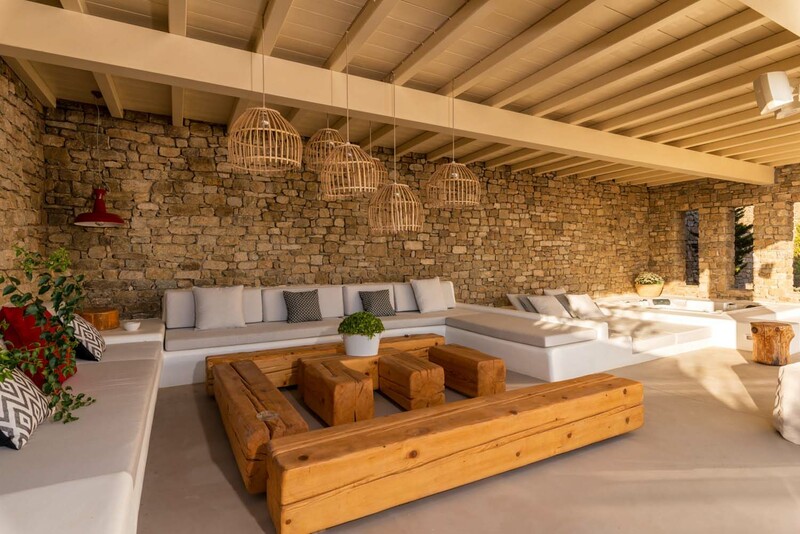 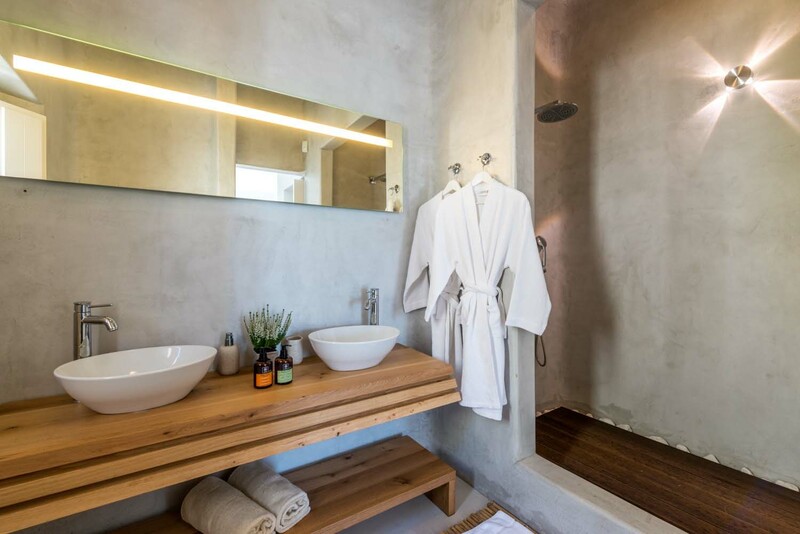 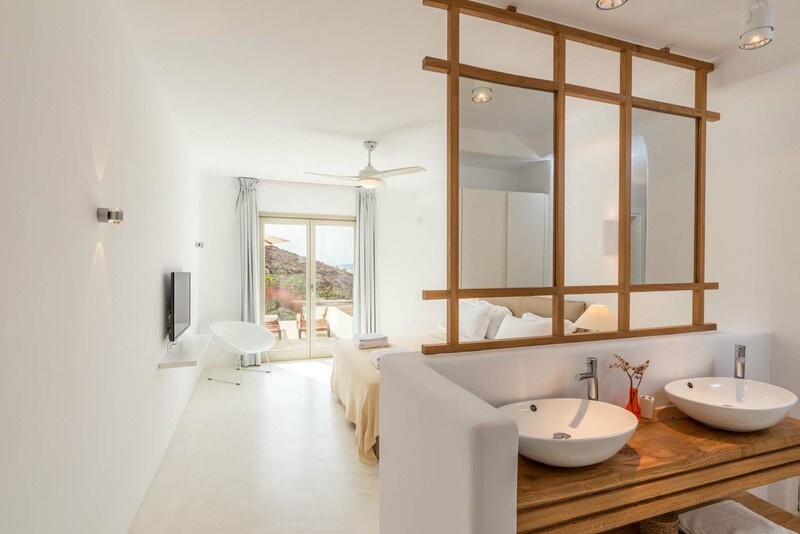 The luxurious villa Cherry is amongst the major archaeological spot on the sacred island of Delos. 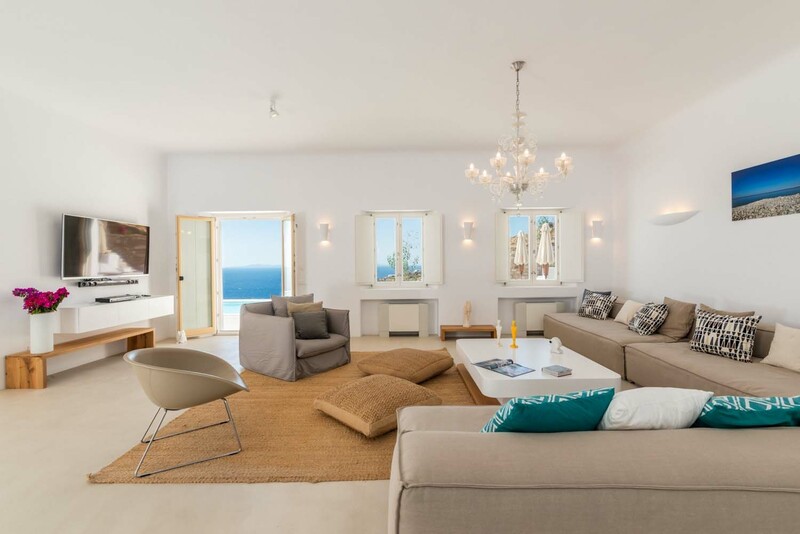 This exclusive and top-end high-class villa covering 520m2 of luxury living area accommodates up to 16 guests. 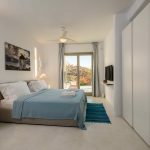 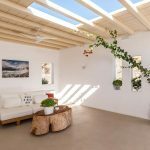 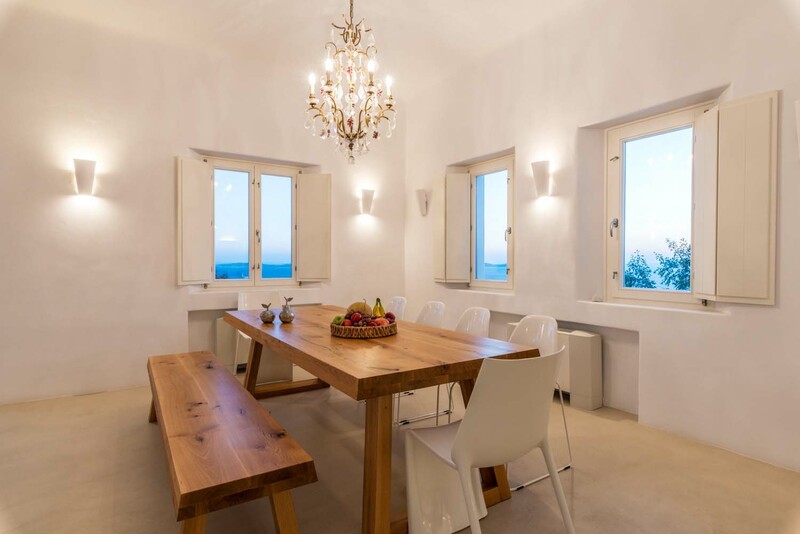 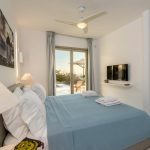 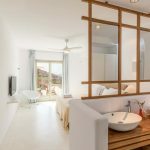 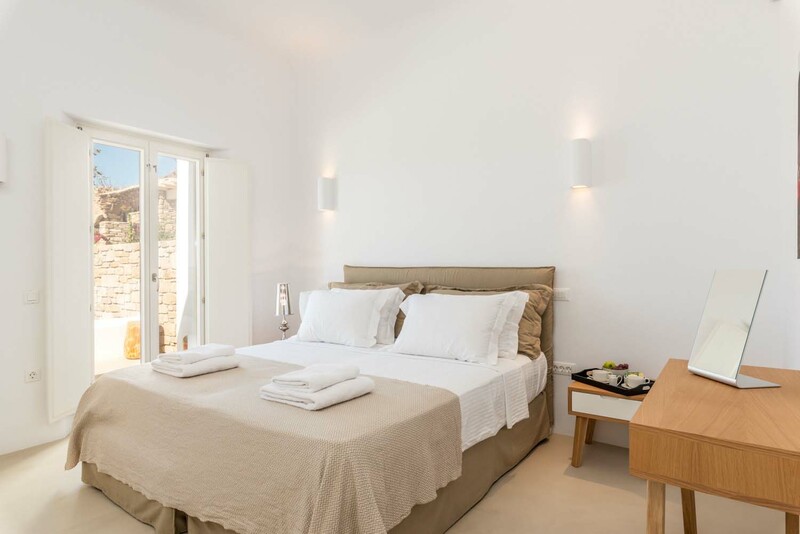 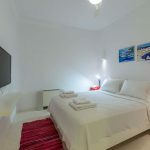 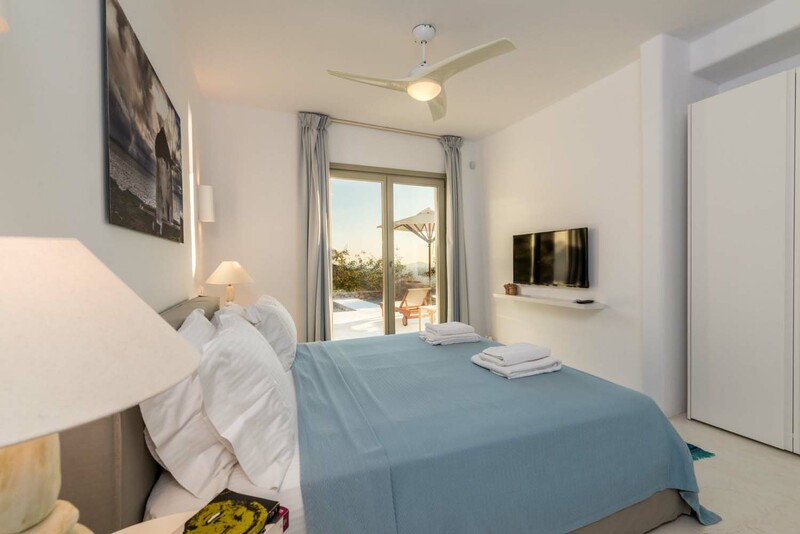 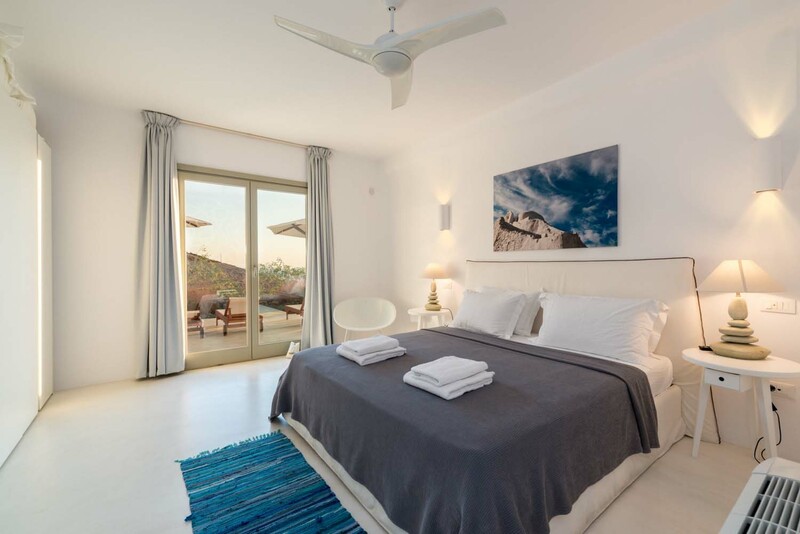 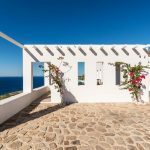 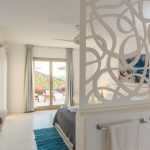 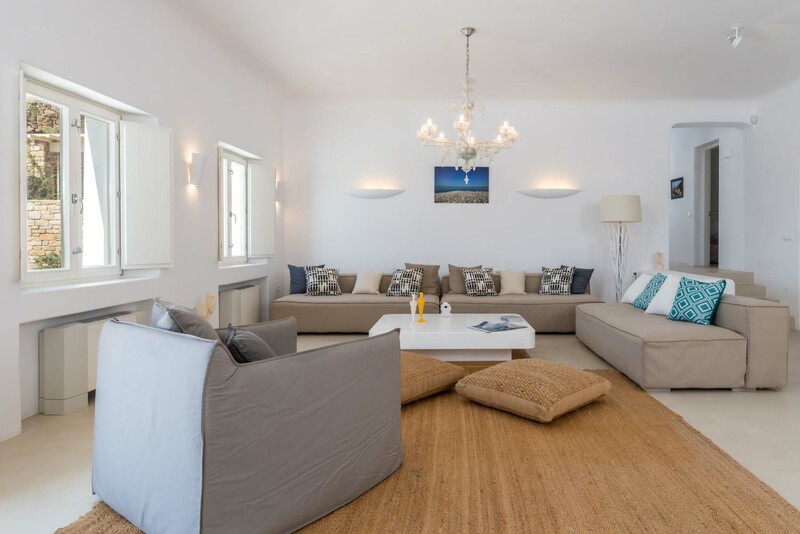 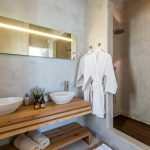 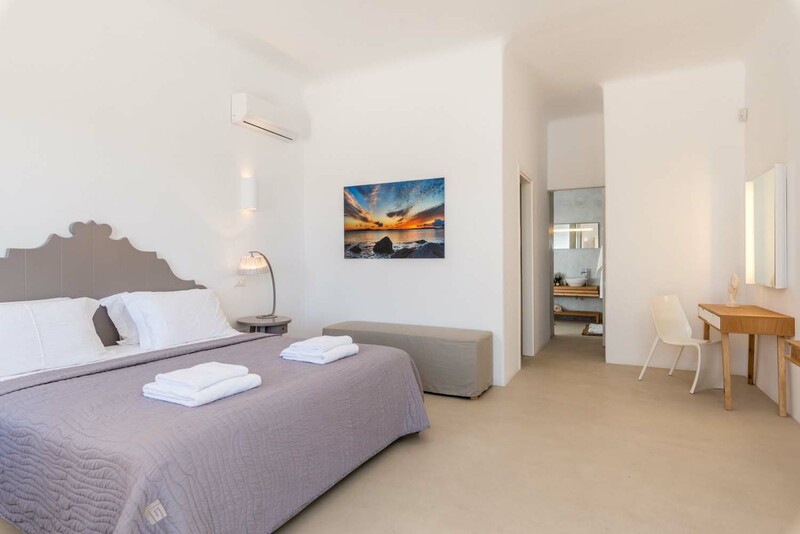 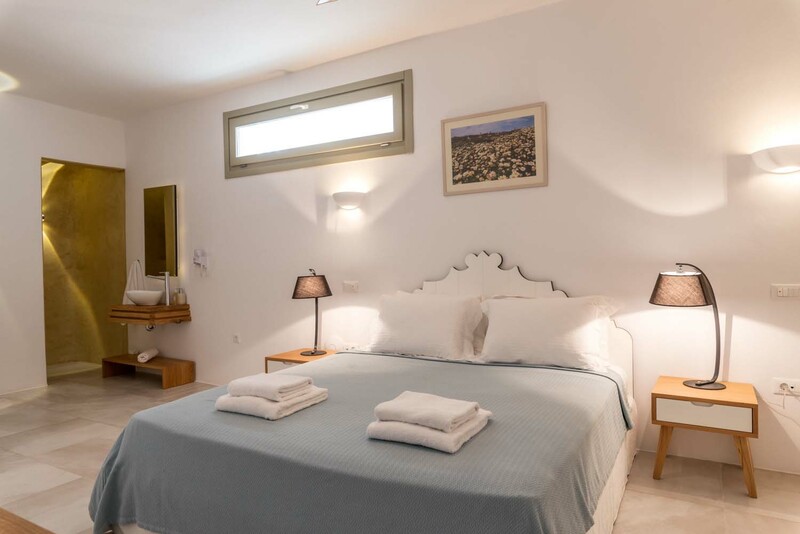 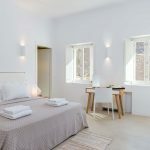 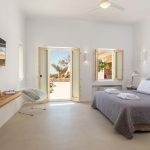 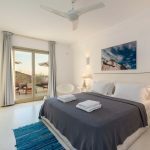 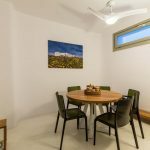 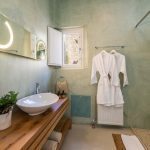 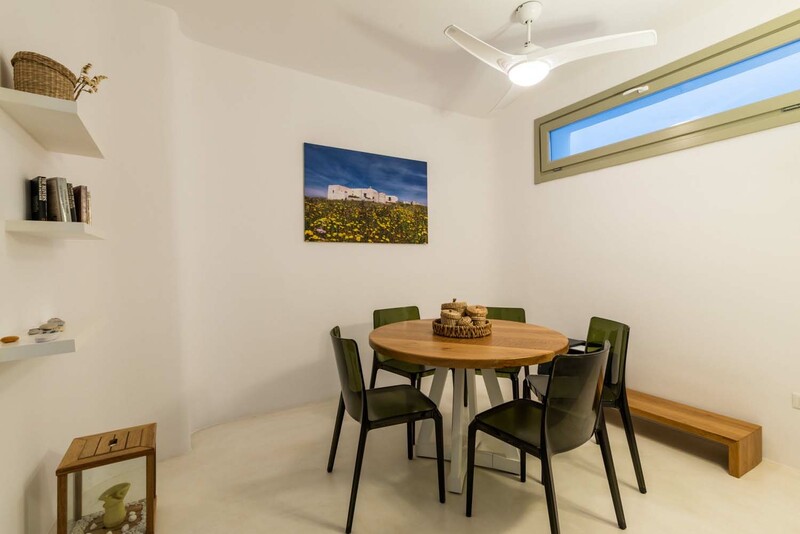 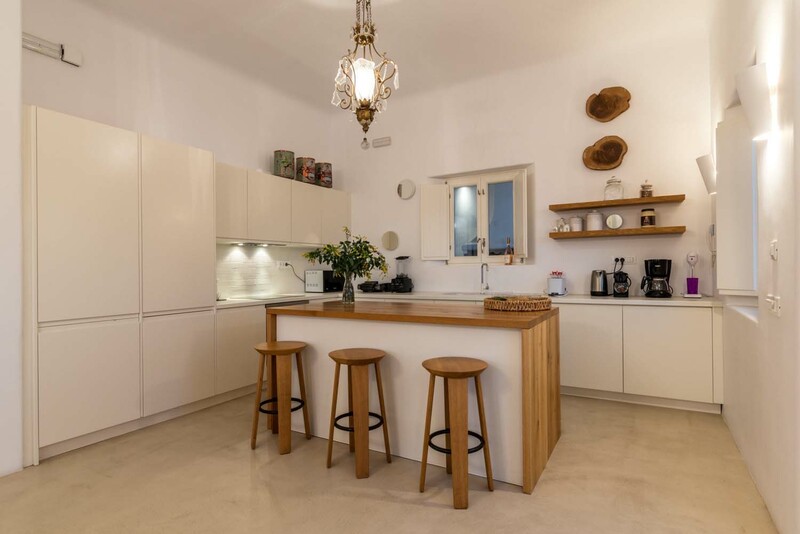 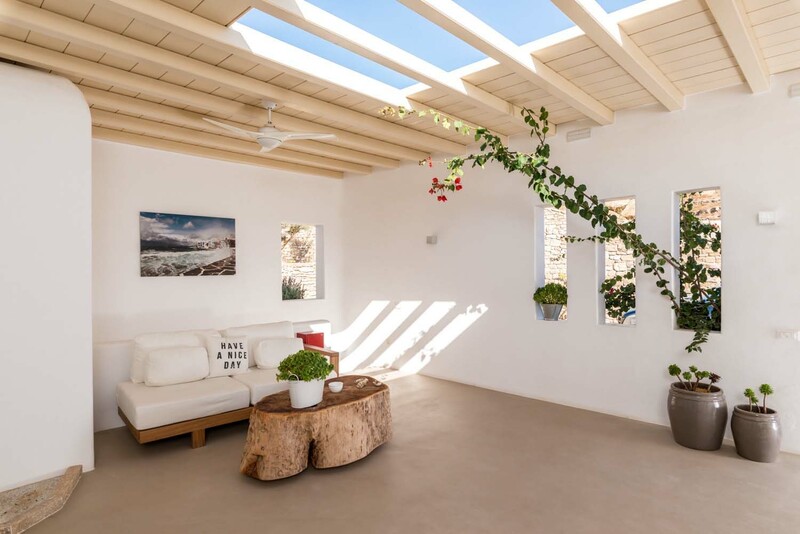 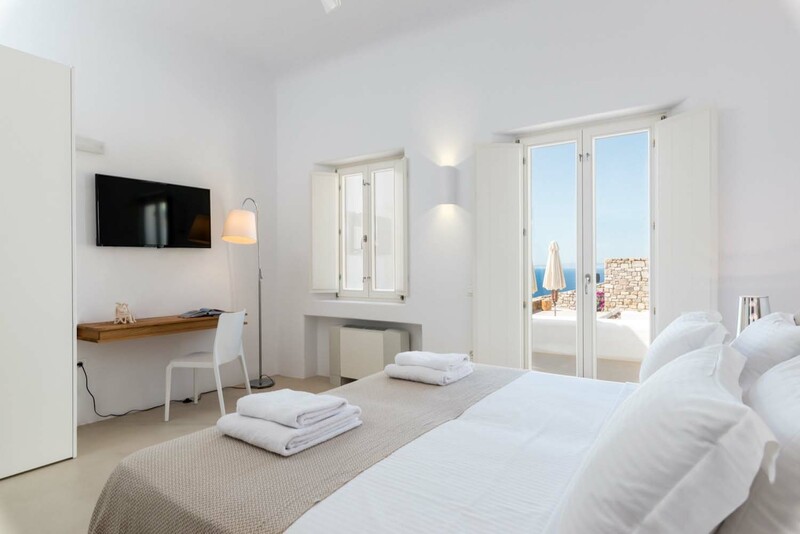 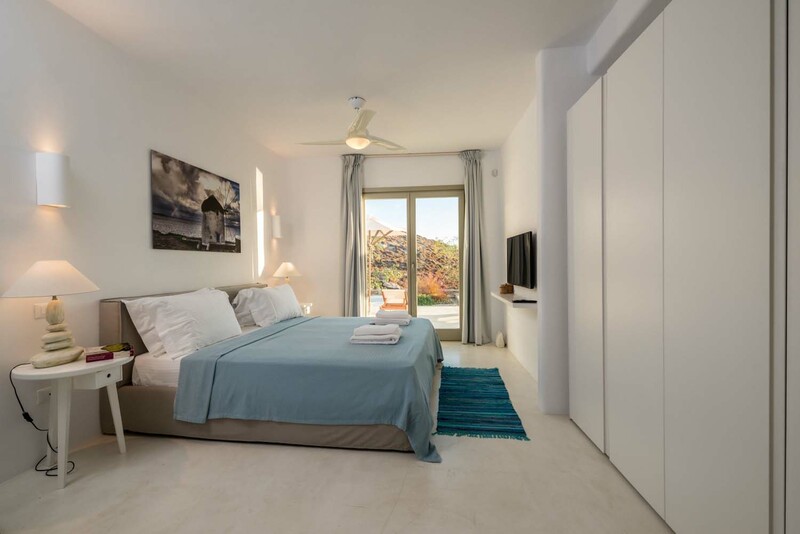 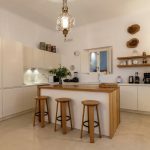 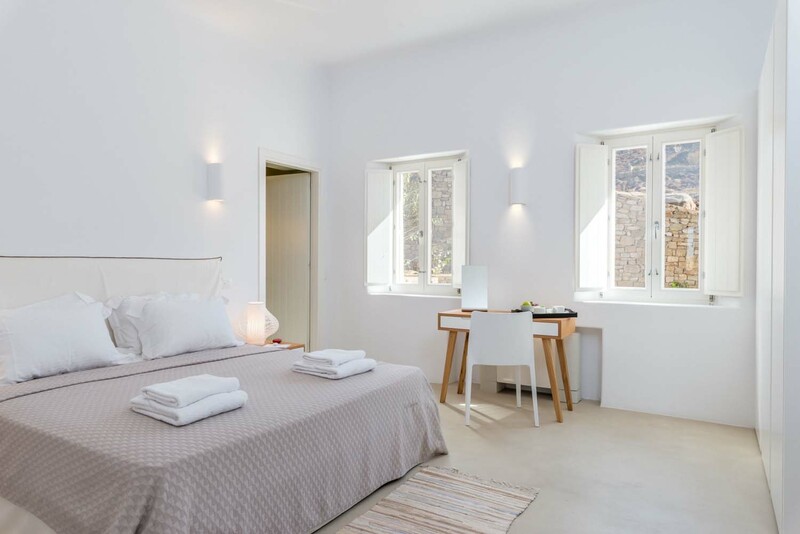 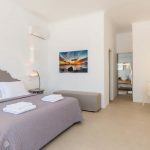 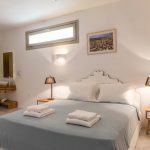 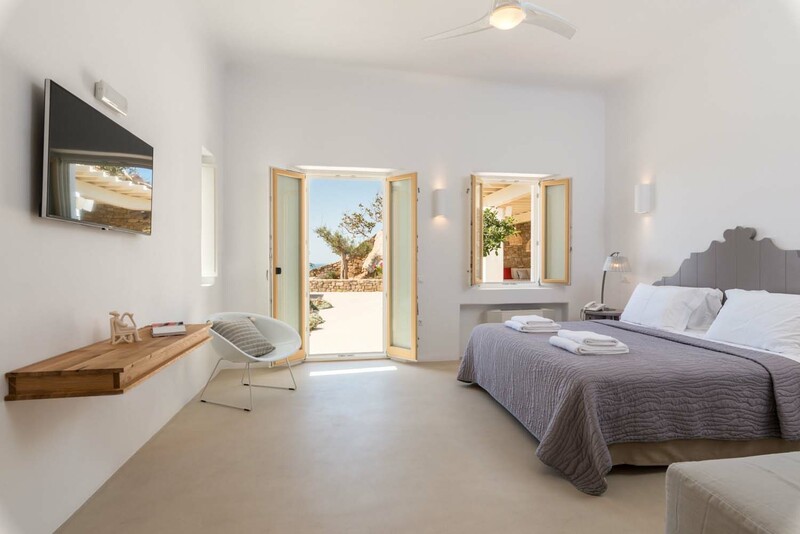 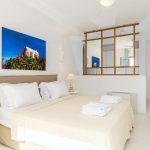 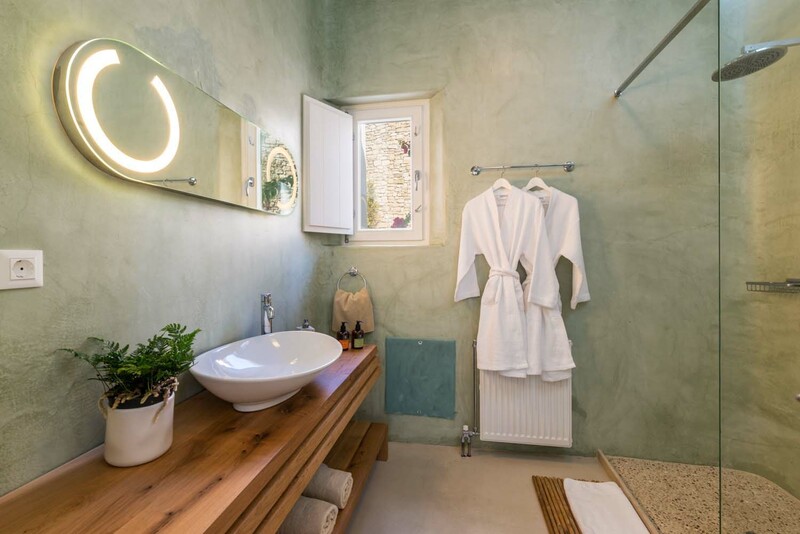 this Villa is located in a peaceful environment surrounded by the magnificent traditional Cycladic brickwork. 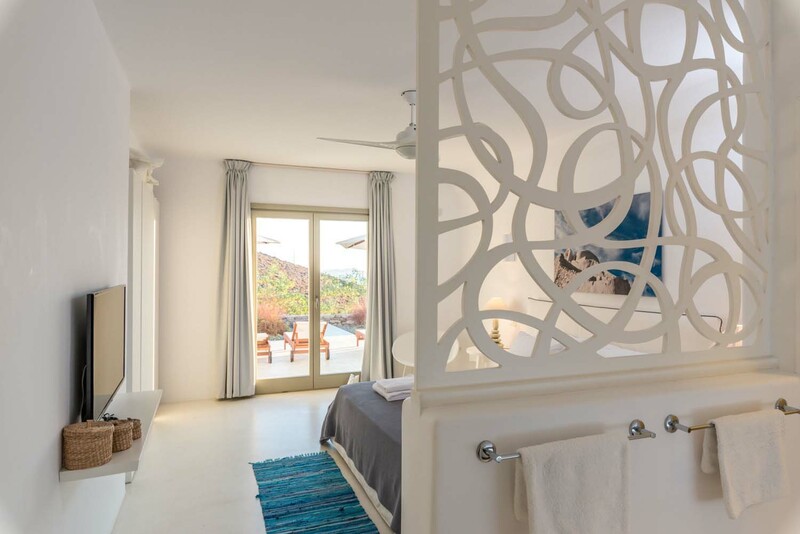 This fully serviced and secluded villa offers a sense of privacy and recreation to the visitors. 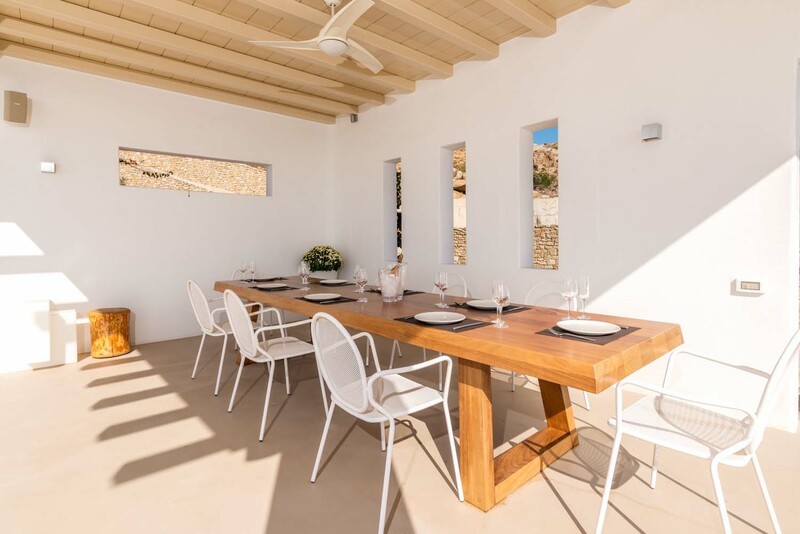 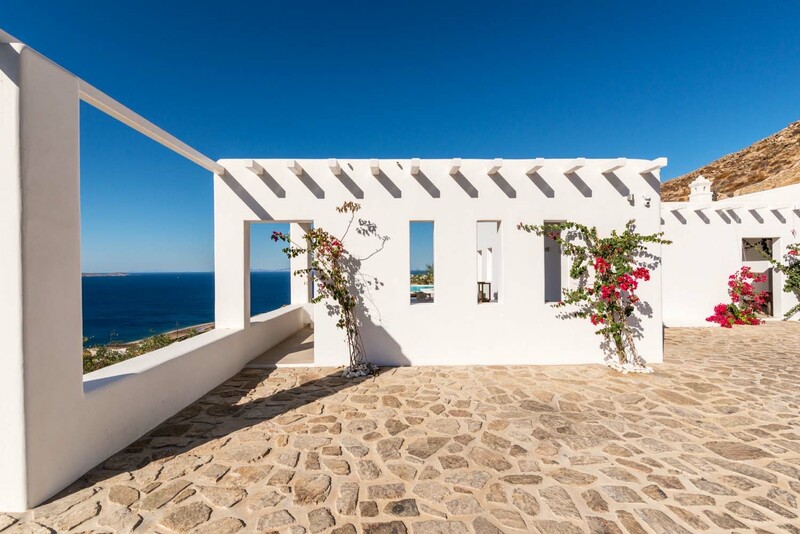 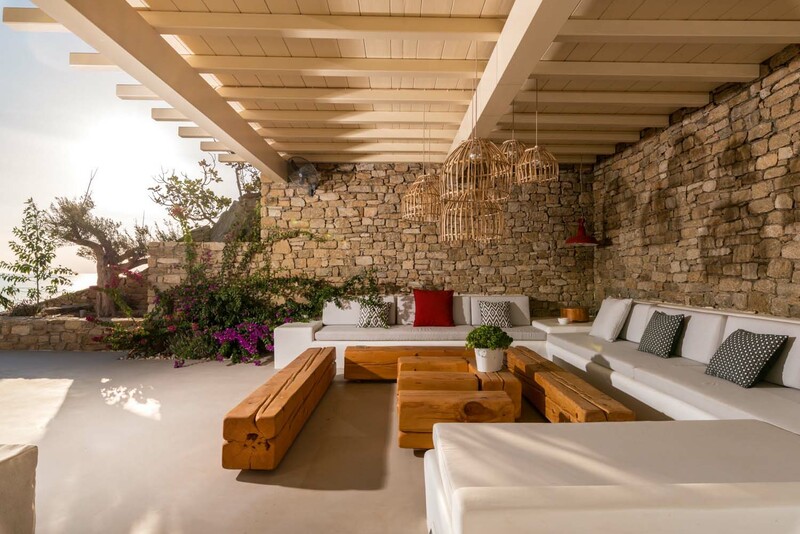 In addition, the luxurious Villa is situated in a wind protected location all summer long. 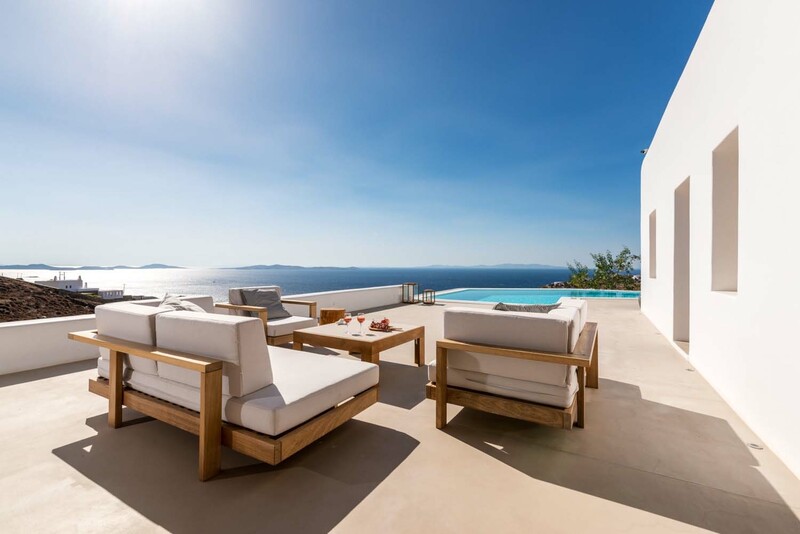 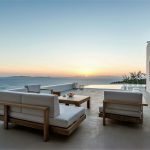 The villa’s architecture ensures remarkable sights of the deep blue sea from all the alfresco and dining areas. 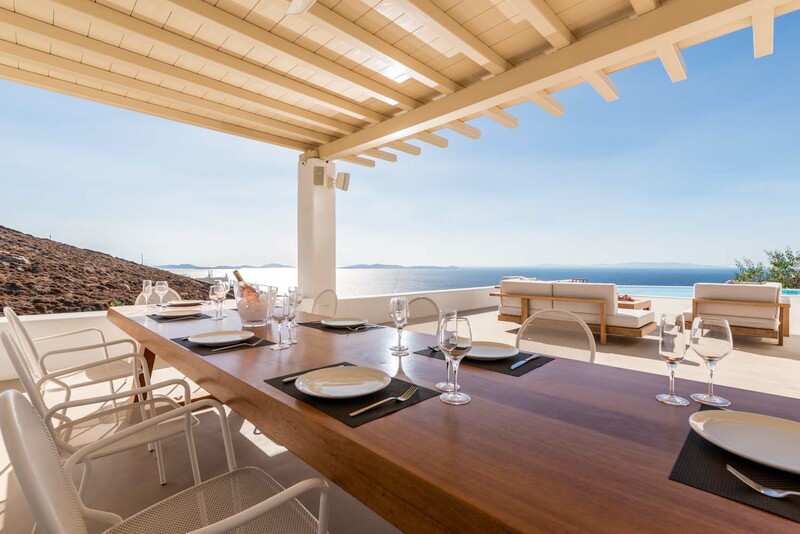 The large outdoor spaces are fully equipped and furnished with Jacuzzi, sun beds, barbecue station and dining area. 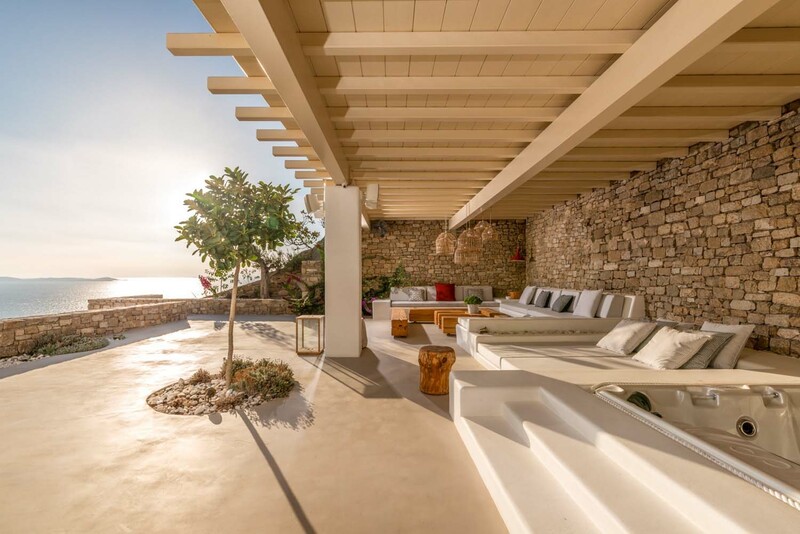 The villa spreads over two different levels and every level has its private entrance. 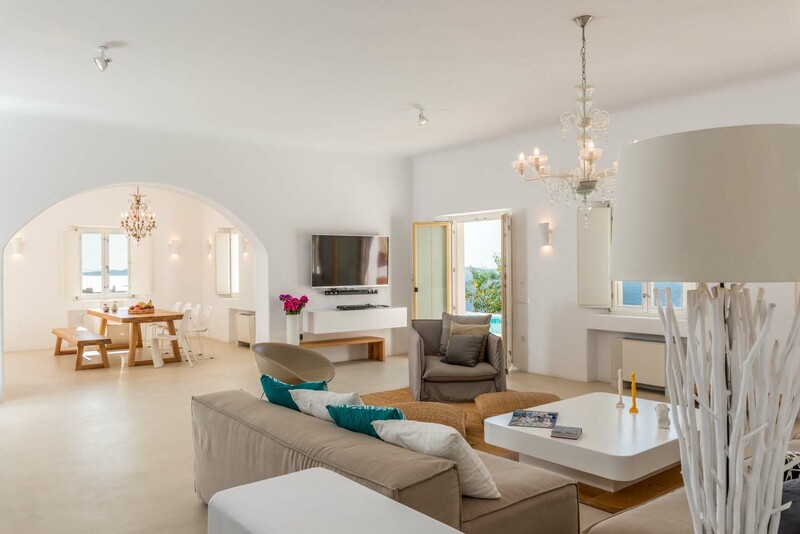 The Villa offers world class services and all the delights that one could wish for. 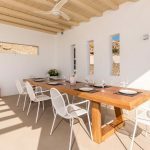 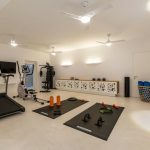 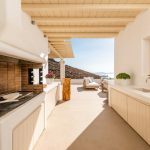 The amazing sea view, outdoor dining area, a fully equipped kitchen, pools, ensuite bathrooms, Hammam, Jacuzzi, and all the other luxurious facilities makes this villa a rare jewel. 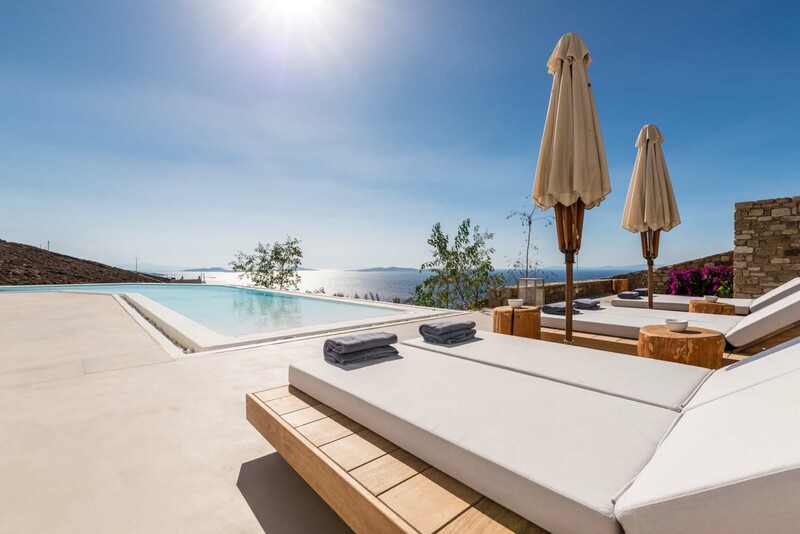 Offering VIP services 24 hours 7 days per week, this deluxe Mykonian villa is not to be missed.